Dr. Peter Redpath, a retired philosopher, will deliver the fourth of the Spring 2019 PVCC Public Philosophy lectures. 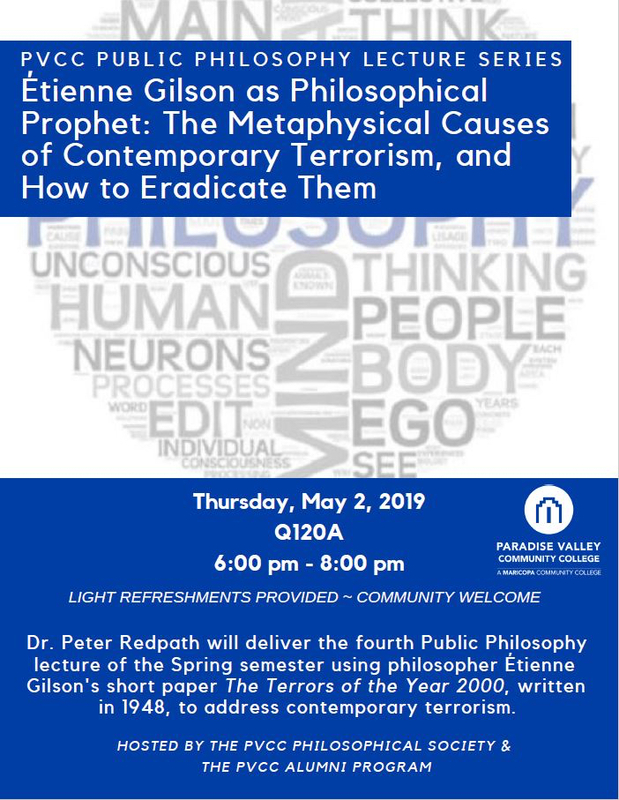 The title of his talk is “Etienne Gilson as Philosophical Prophet: The Metaphysical Causes of Contemporary Terrorism, and How to Eradicate Them.” The talk is scheduled for Thursday, May 2, 2019, at 6:00 pm in Q 120A at Paradise Valley Community College. Next Can We Know the Nature of God?